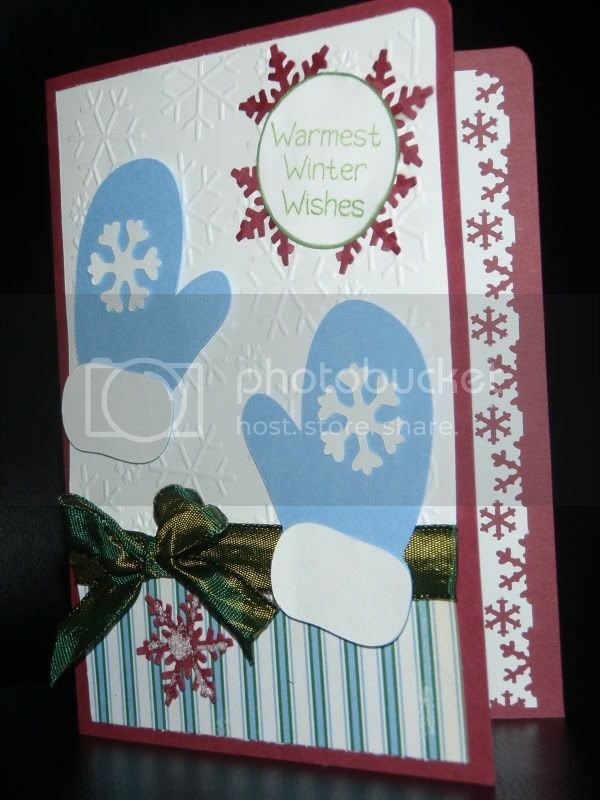 As I mentioned yesterday, I made nearly all of my holiday cards in sets. In fact, the only "one of a kind" card was made out of scraps. Here's the first design that I gave you a sneak peek of back in November. It wound up being my "adult" card. 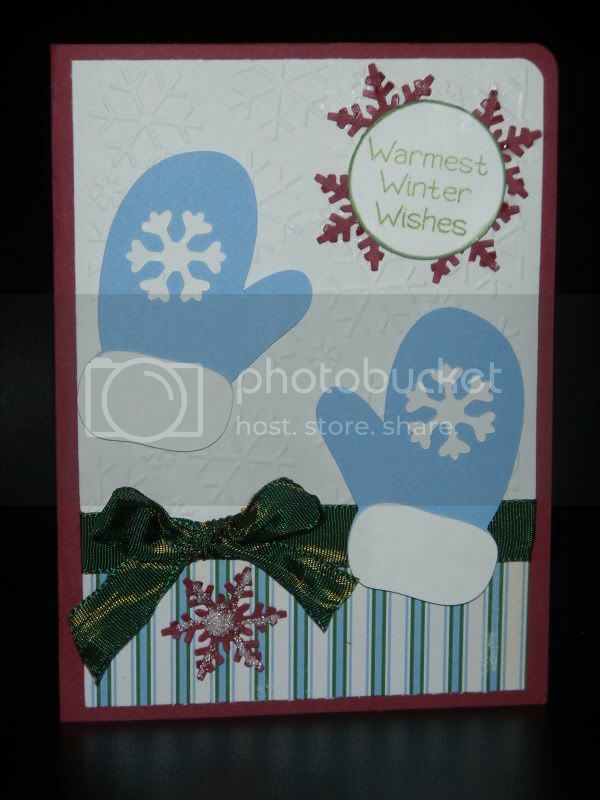 Materials Used: Holiday Cakes cartridge, Martha Stewart snowflake punch,EK Success Snowflake punch, My Pink Stamper Winter Punnies, Papertrey Ink cardstock, Cuttlebug embossing folder, stickles, ribbon from Michaels and Recollections paper (I think).